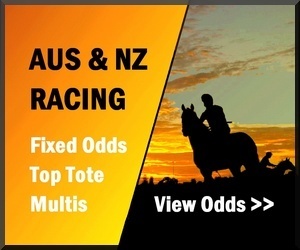 This website is operated independently by Australian Racing Report and not by any official racing organisation. While care is taken to provide accurate information, Australian Racing Report accepts no responsibility for any errors or omissions in the information at this website. Have fun but gamble responsibly. If gambling is a problem for you call gamblers help on 1800 858 858 or contact your local support services. ELLERSLIE – AUCKLAND. Located to the south of Auckland’s town centre providing year round racing and in March hosts a week of racing with 3 of the most important Group Races in the N.Z. racing calendar. Races at Ellerslie are run clock wise on a pear shaped track with chutes that give all distances up to 2400m a long straight run before the corners take effect. Up to 1600m, runners start in the back straight and have only the final larger corner to get round before the final straight. 2000m to 2400m races start in the final (front) straight, pass the winning post and hit a tight turning corner into the back straight and then on to the final corner and straight. Longer distances up to 3200m start in the back straight and have to get round the big corner run down the front straight round the tight corner into the back straight, round the big corner again and finish down the front straight. The longer races give a slight advantage to horses drawn in and with a fairly short final straight will favour on pace runners or leading coming off the final corner. History: The original N.Z Derby was run at Riccarton and dates back to 1860. In 1972 it was moved to Ellerslie and has been there ever since. It offers the top money for any N.Z race and has been won by many horses that went on to big careers on both sides of the Tasman. Previous winners: 1992 Phantom Chance, 1993 Cox Plate and Turnbull. 1990 Surfers Paradise, ’91 Cox Plate and Rosehill Guineas. 1985 Bonecrusher, ’86 Cox Plate and Australian Derby. The final day of the week is shared between The N.Z Stakes and the Auckland Diamond Stakes 1200m race. The race has undergone a few name changes but basically has seen some very serious middle distance horse come through it and do well both in N.Z. and Australia. Previous Winners: 2010 Vosnee Romanee, 2008 Sir Slick, 1993 Solvit who came 2nd in the Kelt and the Cox Plate and then 1994 Solvit again with a win in the Kelt and the Cox Plate. History: First run in 1874 it was traditionally held on New Year’s Day until 2006 when it was moved to be part of the Auckland Cup Week Festival. It is the top prize money open 2 miler in New Zealand racing and is the feature race on the midweek day. Previous winners: 1998 Jezabeel who then won the Melbourne Cup the same year. 1973 Apollo Eleven who also won the BMW (the Tancred Stakes), Sydney Cup, Queen Elizabeth Stakes and the Chipping Norton in the same year, then the Chipping Norton again in 1975. RICCARTON - CHRISTCHURCH. Situated on the South Island and home to the Canterbury Racing Club. Races are run left handed (anti-clockwise). Races over sprint distances up to 1200m start in a chute and join the main course at the start of the straight with about 400m to go to the W/P. Effectively they are straight races. The course proper has a front and back straight and 2 short corners to form a flattened oblong. Middle distance races from 1400m to 2000m start in the back straight and distances beyond this up to 3200m start in the front straight before the winning post and complete a full circuit of the course. New Zealand Cup week usually starts early in November to coincide with the last day of the Flemington Melbourne Cup Carnival on Emirates Stakes Day. Conditions: 1600m Group 1, set weights, prize money of NZ$1,000,000. History: established in 1973 when the New Zealand Oaks and the New Zealand Derby were moved it has been won by some of New Zealand’s best middle distance performers including 2009 Katie Lee, 2005 Darci Brahma and 1991 Veandercross who went on to be awarded Australian Champion Racehorse of the year for 1992/1993. .
History: first run in 1865 and has been won by some interesting horses. In 1929 Nightmarch won the AJC Epsom, the Cox Plate and the Melbourne Cup beating the favourite Phar Lap who ran 3rd. He cleaned up a number of other Australian and N.Z titles as well but in 1930 he stepped back when it was seen that Phar Lap was beating him and won The N.Z. Cup leaving Phar Lap to get his Cox Plate / Melbourne Cup Double and go on to be the legend he is. The 1987 winner was Empire Rose who ran 2nd in the Melbourne Cup in ’87 but came back next year to win the McKinnon and the Melbourne Cup. She was one of the first horses to amass winnings over $1million. History: like the 2000 Guineas, the race was first run in 1973 and has thrown up some very tough performers. Tycoon Lil won the race in 1997 and went on to win The NZ Oaks in ’98 then crossed the Tasman to run 2nd to Might & Power in the Yalumba and 3rd to him in the Cox Plate. The track is a flattened pear shape with a chute into the front straight where the 1200m, 1000m and 3200m races start. Except for the fact that the chute has a slight curve, it is very similar to Flemington racecourse and their track records would indicate these two tracks would suit the same types of runners. History: The Telegraph is the equal biggest purse for an open age race along with the Auckland Cup. It is expected to grow in importance since the prize money has been lifted and may well start to attract sprinters from overseas. History: The Wellington Cup dates back to 1874 and has varied in distances. From 1942 until 2008 it was 3200m and had Group 1 status but on being dropped to Group 2 the distance was reduced to 2400m. It has been won by some of New Zealand’s most famous horses but the top performer would have to be Castletown who won the race in 1991, 1992 and 1994. He also won the Auckland Cup in ’92 and came 3rd in both the Sydney and Melbourne Cups. Win or Each-Way betting on the Telegraph Hcp & Wellington Cup now available at Sportsbet.